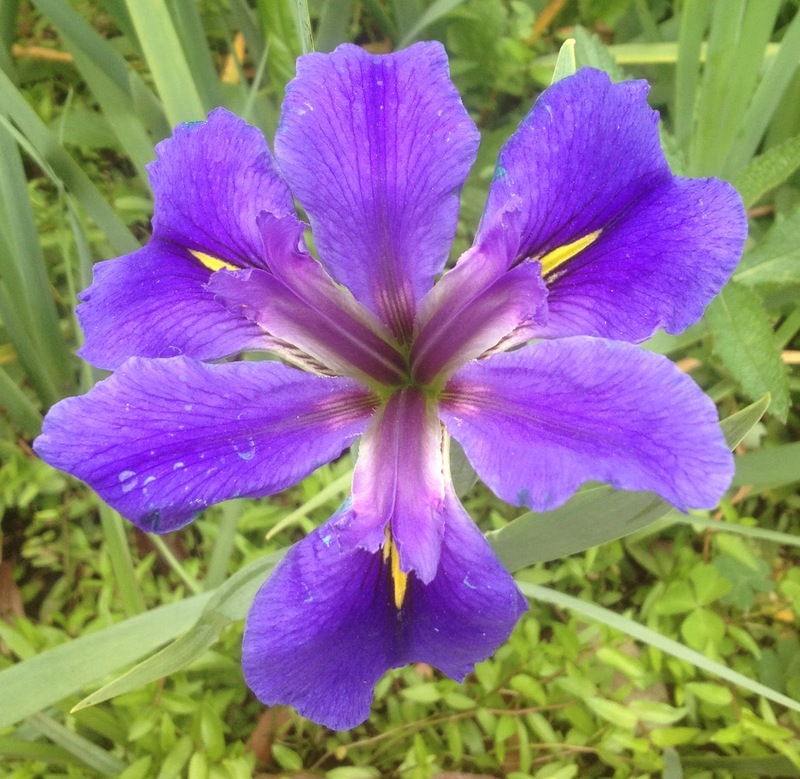 It really would be great if I could identify each and every iris growing here on my corner of Katy. Many years ago, my friend Amy suggested that we attend the Houston Bulb & Plant Mart in early October. The first thing you saw as you entered the room where bulbs were sold was the Louisiana iris booth. Pictures of the varieties on offer were displayed above the boxes of rhizomes and those pictures were all it took to get me hooked. I don't recall how many I bought that first year or indeed any year thereafter. It became a running joke between us that Amy was not to let me go overboard. I always did and she always laughed and shook her head. I do remember the names of some of the varieties I bought ... Clyde Redmond, Black Gamecock, Chacahoula ChaCha, Eolian, Puddytat ... I wish I'd kept an inventory of them. (The daylilies too but that's a post for another time!) I still have some but not all of my Bulb Mart catalogs and could probably come up with a rough list of what I purchased. I wish to state for the record that I did start out labeling them in the beginning. But labels aren't that much use as the iris multiply and intermingle. It becomes increasingly difficult to tell which fan belongs with which rhizome. And I might have bought several that are similar in appearance over the years ... I kinda have this thing for blues and purples. 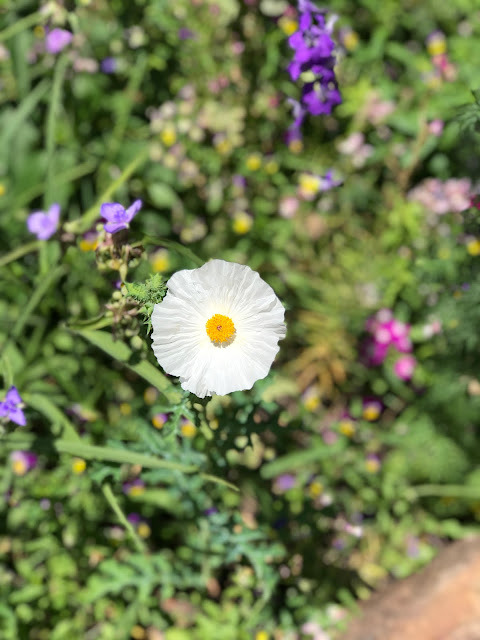 But given the choice between sitting inside at a desk to catalog plants or sitting outside in a comfy chair to enjoy the blooms, the HG and I are in rare agreement as to which we'd choose! I agree.... sometimes labeling isn't all that helpful and if you don't start out doing it, there is never time to catch up. Sit and relax and enjoy the show! Oh my. Thank you for that purple. My world is white and gray again. Hi Cindy! 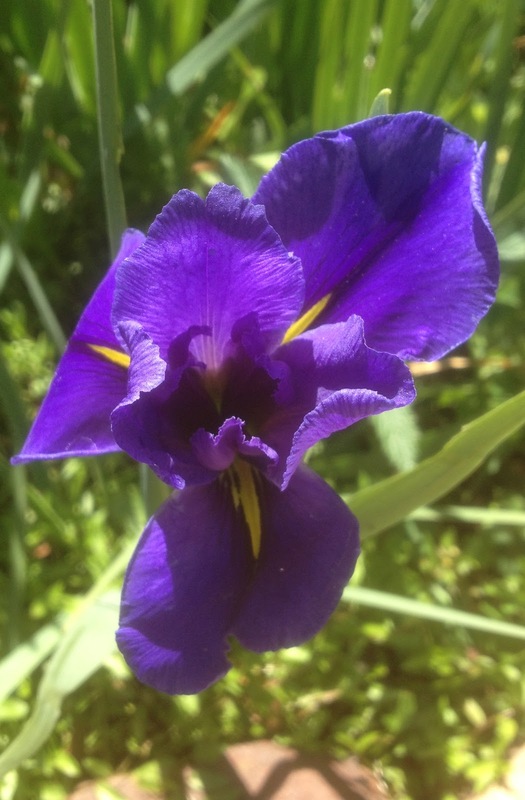 What a beautiful iris! I have other types, but no Louisianas. Even if you did label every single one, you might have a sea of labels instead of flowers! Can't wait to see more of these iris! Record keeping is never as enjoyable as gardening...I have similar issues. Pretty blooms are most important! Frances gave me Black Gamecock. I'm hoping it made it through the winter here. They are kind of "iffy" in our climate. I love Louisiana iris and have been meaning to add it to the garden~I'm with other~enjoy the show and have fun guessing the names! Oh my gosh! How beautiful! I hope mine bloom this year. 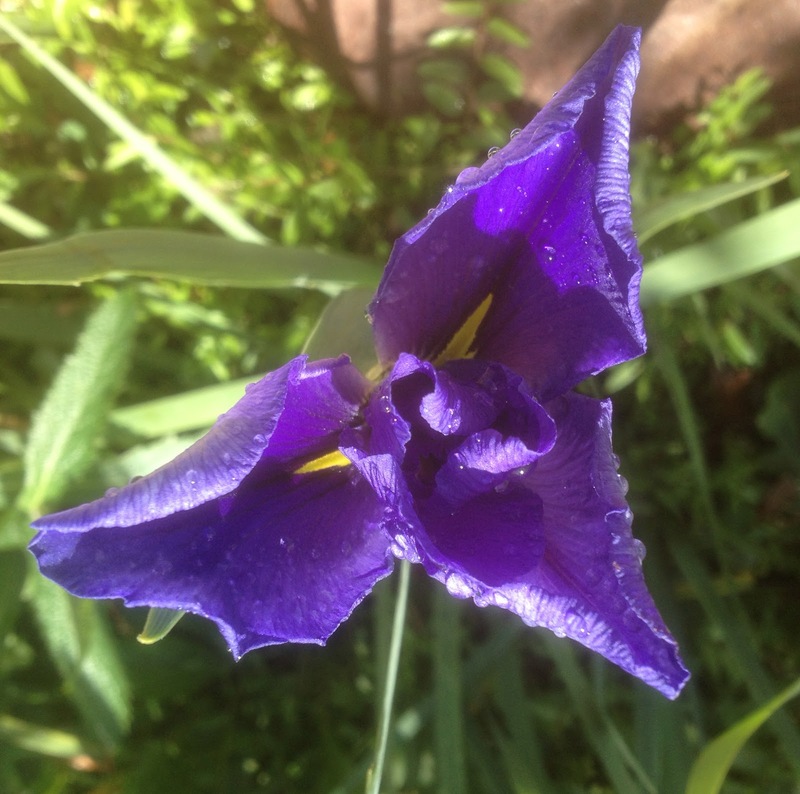 And believe me, I couldn't identify ANY of my irises now.